When I was growing up in Fort Worth, my mother occasionally took me out for a special lunch at Hedges, the elegant little restaurant at Neiman-Marcus (which has since been renamed the Zodiac). I knew it was special because, instead of the dry dinner rolls that many restaurants serve, Hedges greeted their guests with steaming hot popovers and strawberry butter. These airy little treats bring a touch of decadence to any meal, but I especially like them as part of a Sunday brunch. This recipe comes from Mark Bittman’s encyclopedia of the culinary arts, How to Cook Everything (which, incidentally, is now available in its entirety as an app for your iPhone or iPad). The recipe is outrageously simple, and the result is just like those perfect golden clouds of happiness at Hedges. 1. Heat the oven to 425°F. Grease a 12-cup muffin tin or a popover tin and put it in the oven while you make the batter. 3. Bake for 15 minutes, then reduce the temperature to 350°F and continue baking for 15 minutes more, or until the popovers are puffed and browned. 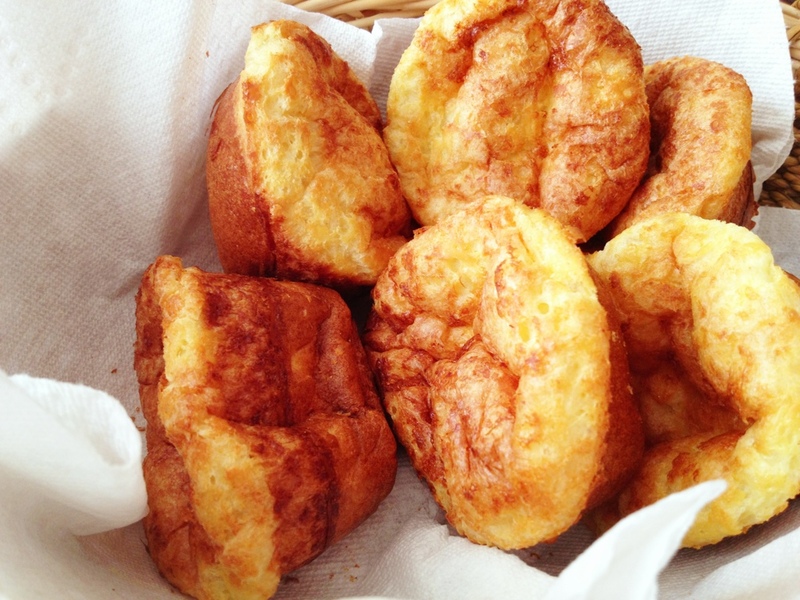 Do not check the popovers until they have baked for a total of 30 minutes. Remove from pan immediately and serve hot. This entry was posted in Breads, Breakfast by Baron. Bookmark the permalink.